There is an industrial boom at Surat and there are many people who are re-locating here. If you are looking for packers and movers in Surat, then you don’t have to go too far as Agarwal Real Packers & Movers will come to your house and explain our services to you. We make our costing and the whole transport process as clear as possible. We at Agarwal packers and movers Surat, never go beyond the quoted amount till the time you yourself do not request any additional service. There are many factors involved in shifting items from one place to another. We at Agarwal movers and packers Surat try to take care of all these factors and then aid you with additional benefits. You would find that our staff at packers and movers Surat are highly trained and dedicated to serve you in the best possible way. Our people will arrive at your location and then expertly and efficiently begin the packing process. Unlike other movers and packers Surat, you will not find our employees to be discourteous or insensitive to your belongings. After the packing process is complete, the staff will begin loading and adhere to any specific instructions which you might have. We as packers and movers in Surat are very trustworthy. We assure you of no missing packages or other damage to your valuables and precious items. Also, if you are looking to hire a movers and packers in Surat which is certified then we can satisfy that demand as well. 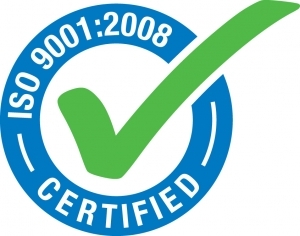 Agarwal Real Packers & Movers are ISO certified and in business since 1989. We have helped millions of people relocate their homes, offices and even transported vehicles nationwide. If you are planning on transporting your car then we are a one stop shop for you with our dedicated car containers. Whatever your transport need, Agarwal Real Packers & Movers are there to fulfil it in a quick, efficient and cost effective manner.